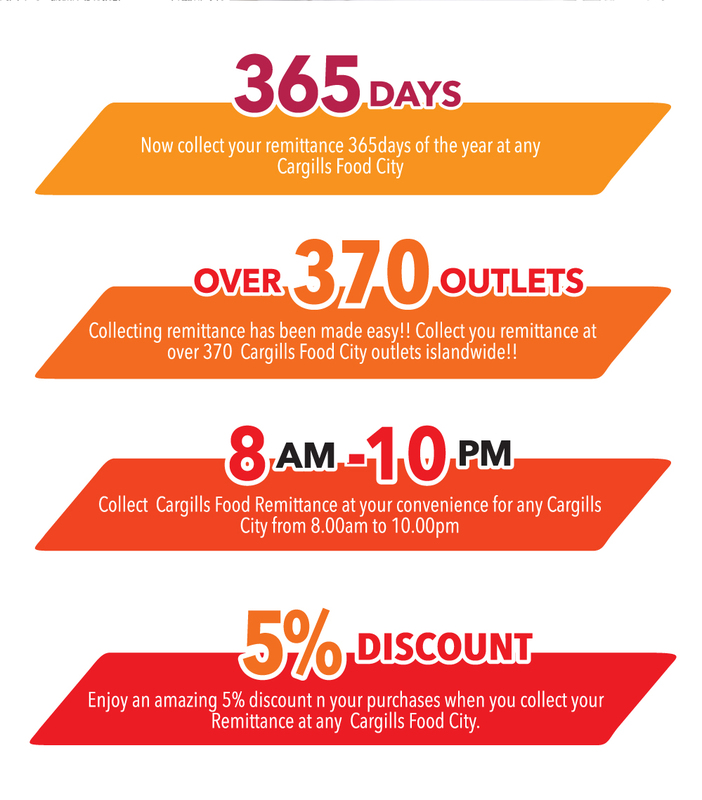 Collect your remittance on your way home, at any Cargills Food City. Should be 18 years and above to utilise Cargills Bank Remittance services. There is no minimum Remittance transaction value. 5% discount applies for a maximum purchase of Rs. 10,000 per withdrawal at any Cargills Food City outlet (applicable for 7 Days starting from the day of the remittance transaction). 1.What is Cargills Bank Remittance Service ? 2.Are there any transaction limits and fees applicable for Cargills Bank Remittance? You can receive maximum amount of Rs 5.0 Mn as remittance through Cargills Bank and we do not charge any commission from beneficiaries. 3.What are the benefits of Cargills Bank Remittance service? 4.Can I send money to a bank without having a bank account? Yes. Beneficiary will receive the remittance in cash form. 5.Is it important to declare the purpose of the funds being sent to Sri Lanka? Each overseas entity has its own KYC (Know your customer) / AML (Anti-Money Laundering) requirements and the transactions have to be as per the permissible modes and purposes. 6.I have a remitting business, how can I engage with Cargills Bank? Please send the below details to info@cargillsbank.com or kithmini.k@cargillsbank.com. We will get in touch with you ASAP. 7.I am a foreign national, can I send money to Sri Lanka? 8.Are there any taxes on Remittance? 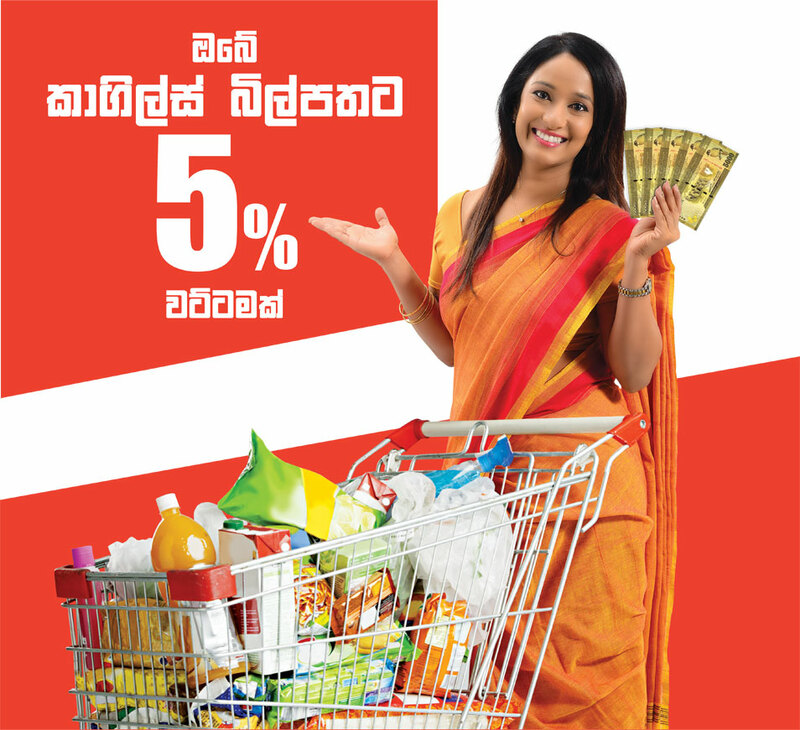 9.What is the turnaround time (TAT) to receive remittance in Sri Lanka through Cargills Bank Remittance service? 10.What conversion rates will be applied on remittance? Experience the amazing range of services offered by Cargills Bank. Sitemap © Cargills Bank Limited. All Rights Reserved. Let us get to know you better! Enter your Reference No. and know the exact status of your remittance.